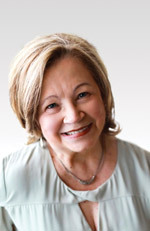 Delores B. Lindsey, Ph.D., retired as Associate Professor of Education at California State University, San Marcos, CA, but did not retire from the education profession. As a former middle grades and high school teacher, assistant principal, principal, and county office of education administrator, and associate professor for educational leadership, her primary focus continues to be developing culturally proficient leadership practices. She helps educational leaders examine their organizations’ policies and practices, and their individual beliefs and values about cross-cultural communication. Her message to her audiences centers on socially just educational practices, culturally proficient leadership practices, and diversity as an asset to be nurtured. She facilitates educators to develop their own inquiry and action research. Her favorite reflective question is: Are we who we say we are? She is also a Training Associate for Cognitive Coaching and Adaptive Schools. Delores and husband Randall, her favorite Sage/Corwin author, continue to co-write about the application of the four Tools of Cultural Proficiency. They enjoy working together with school districts to guide school leaders on their journey toward equity and socially just practices.